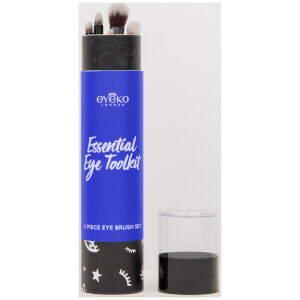 Sculpt, define and enhance your eyebrows with Eyeko Brow Gel, an award-winning tinted formula that works to perfect and care for your brows. Infused with a host of beneficial ingredients, including Keratin, Gingko Biloba and natural proteins, the nourishing gel expertly tames and tints your brows whilst conditioning and visibly thickening for healthier-looking arches. The nano-brush and botanically-enriched formula work in tandem to precisely define and set your brows with a natural-looking finish. Long-lasting without flaking or stiffness.